Learn how Kenyans give their free time to their community. 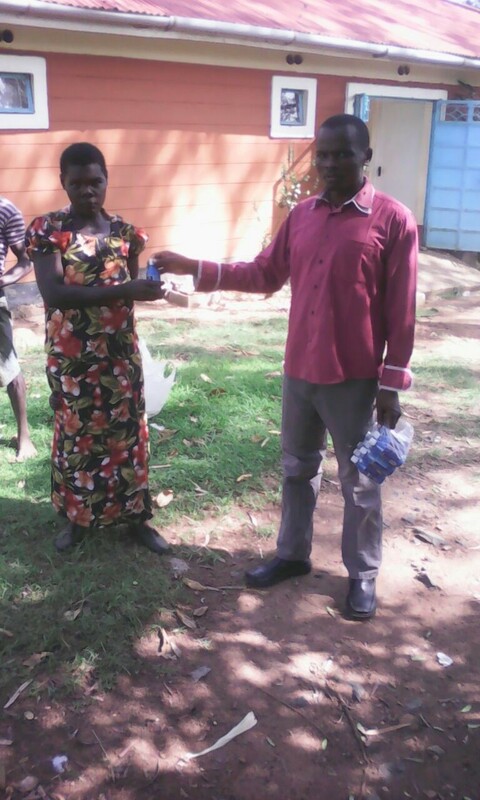 I would like to introduce you to Ken Ambonya, a dedicated, hardworking employee at the Ogada Health Clinic. Ken has a diploma in laboratory technology and has worked as a lab technician at the clinic for the past four years. In addition, he frequently goes beyond his job description and volunteers many hours to help the people of his community. 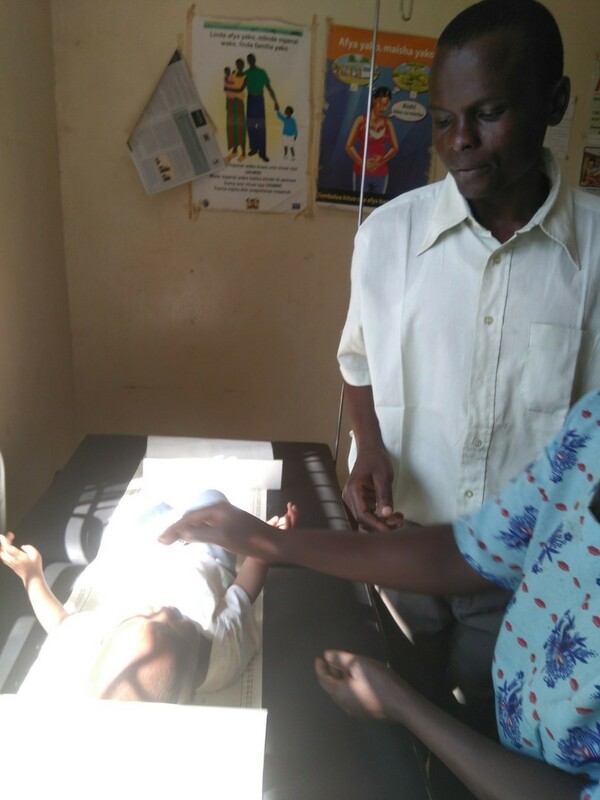 He is passionate about child health care and supports P4P's Power of Milk (POM) nutrition program by weighing the babies, taking upper arm measurements, administering deworming syrup and distributing food supplements. When P4P teams are working at the clinic, he is a valuable translator. Ken does all this voluntarily and acts as another eye at the clinic when the P4P team is not there. He ensures that the POM children's medical information is recorded and gives health talks to the mothers and caregivers. He is such an asset. "My passion to see the world change drives me to help with the children," Ken says. "It is so exciting to see the lives of these children change from the time they are enrolled in POM to the time they exit. This gives me a lot of joy. Thanks so much to P4P for the support they give to the children and care givers." 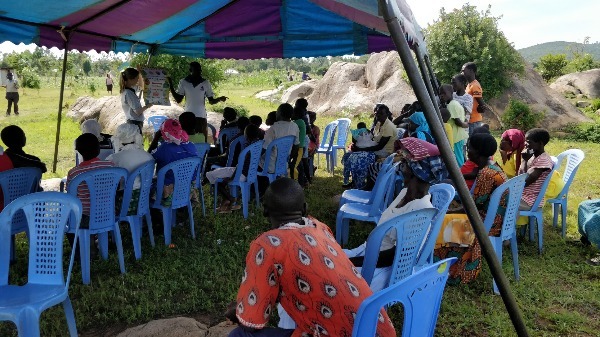 When the November 2018 P4P team was in Kenya, one of their tasks was to gather information on child health, nutrition, parenting practices, clinic support and the role of Community Health Volunteers (CHVs). They conducted surveys with CHVs, Ogada Health Clinic staff, and the Ministry of Health nutritionist assigned to the area. 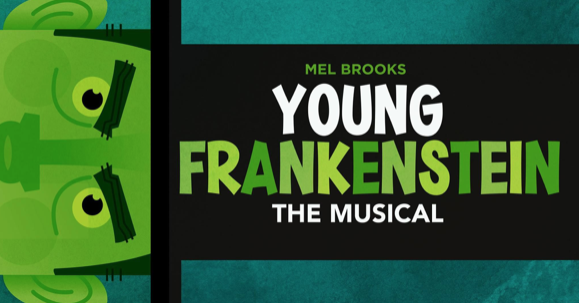 Team members Gabrielle Bulman and Skye Holm submitted an extensive report of their findings. Here is a snapshot of their invaluable information. What are Community Health Volunteers and what is their role? CHVs are unpaid volunteers trained through the Ministry of Health to conduct between 80 and 130 home visits per month to access each family's general health status. CHVs are familiar with the common diseases in the area such as malnutrition, malaria, scabies and diarrhea illnesses. Depending on the severity of an illness, they will either provide counseling on treatment and prevention or refer the family to a clinic for further evaluation, treatment and possible enrollment in the Power of Milk program. CHVs then perform follow-up home visits. 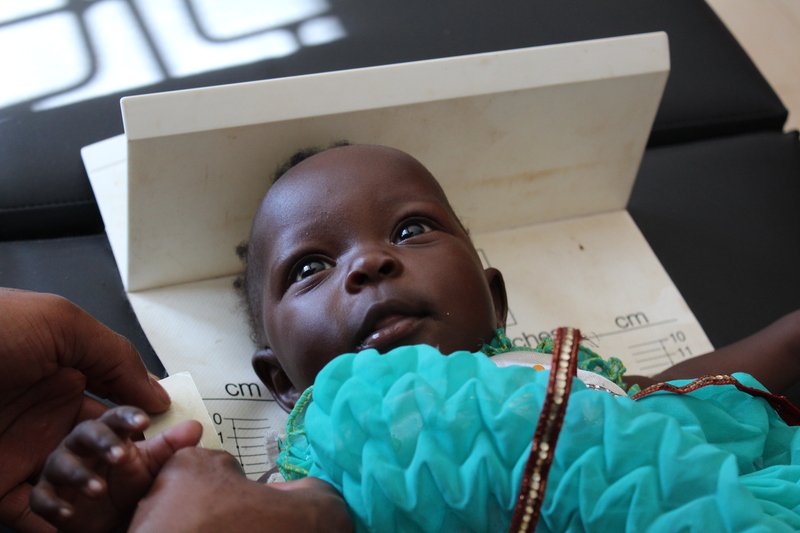 How do CHVs monitor and address malnutrition? 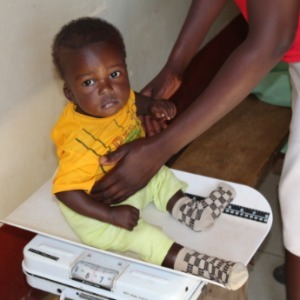 Using a mid-upper arm circumference tape measurer, CHVs compare an infant's measurement to determine nutrition status. 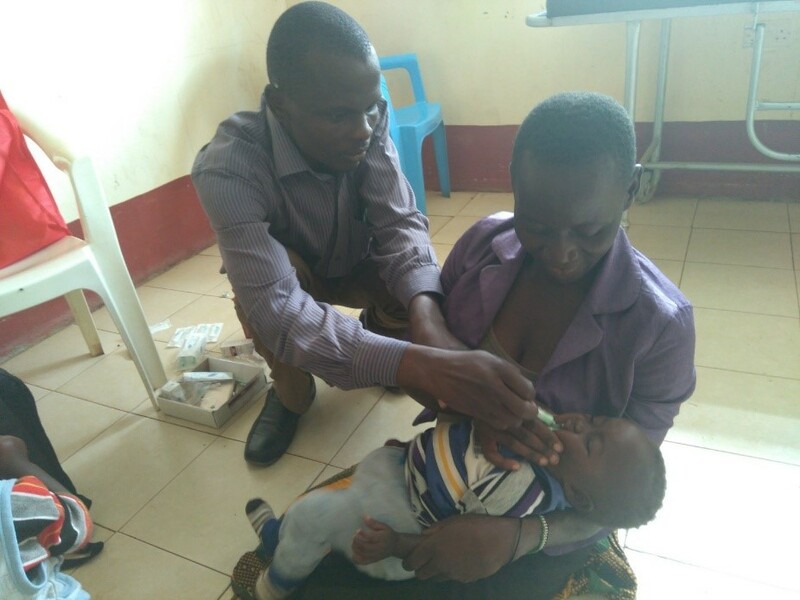 Mild malnutrition cases are counseled on diet and breastfeeding and caregivers are encouraged to go to the nearest clinic for well-child visits. Moderate to severe cases are referred to a nearby clinic. CHVs encourage mothers to give birth at a clinic rather than at home, to breast feed for at least six months and provide a balanced diet when their children transition to solid foods. How do clinics handle infant and childcare issues? Area clinics offer varying levels of care. Some are staffed with clinic officers and nurses and some higher-level facilities have a nutritionist on staff. 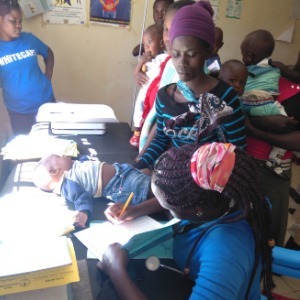 The biggest challenge is reaching infants who are often not brought into the clinics until they are deathly ill, hence the importance of CHVs referring at-risk infants to the clinic using the proper referral forms. When infants are brought to a clinic, they are tracked with routine well child visits. Clinics then provide nutritional supplements when available. There has been a shortage of Plumpy'Nut™ for some time, so fortified flour is generally substituted. How does the Power of Milk nutrition program work? Caregivers bring the babies to the clinic (sometimes traveling several miles on foot) once a week where the infant's growth is charted. Currently 30 infants and caregivers receive nutritional supplements and listen to health and nutrition talks. Many individuals, family foundations, scholarship sponsors and companies stepped forward to help Partnering for Progress raise over $9,000 at the end of 2018. This outpouring of generosity ensures our work will continue to bless those in need in Kenya. You provided clean water to schools. 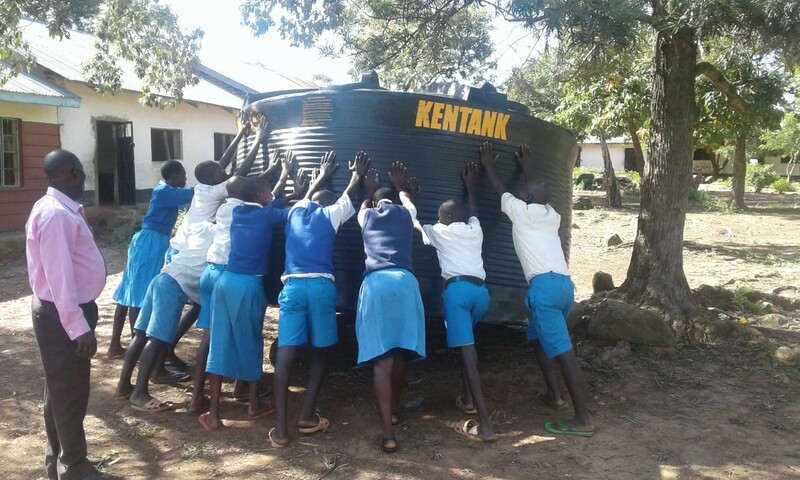 Your support funded seven rainwater catchment tanks which were installed at three clinics and four schools. Students and teachers now have access to safe drinking water which helps them stay healthier and concentrate on learning. You helped young people stay in school. When five students excelled in eighth grade but lacked the financial resources to pursue high school, you stepped in with scholarships. 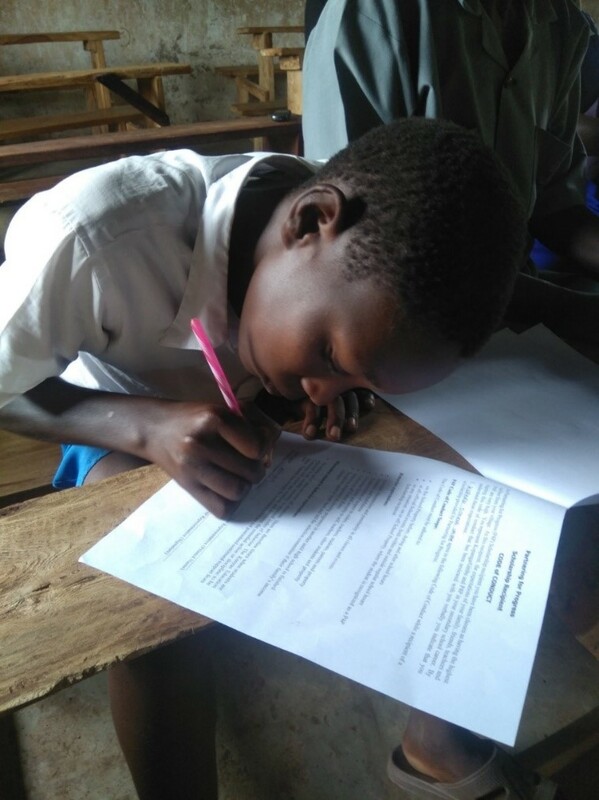 A total of 21 high school students and 5 college students are attending school in 2019 thanks to your support. You kept babies alive. Every single week, P4P POM provides nutritional supplements to 30 malnourished infants, helping them grow into lively toddlers. Their parents receive a healthy meal and education about health topics important to children. Upon graduation, parents receive two chickens – an important increase in their protein supply via eggs. You put farmers on the road to economic independence. Two sets of ten farmers received robust seeds, agriculture education and adequate fertilizer to raise bountiful crops that will support their families throughout the year. What do they spend the increase on? School fees, food and medical care top the list. P4P is also training these farmers to save for the next crop's seeds and fertilizer. YOU reached out to those with few options and opportunities. YOU shared resources and hope for partners in 26 villages. Health Committee volunteer Angie Smith is a woman who loves nature, is an avid bee keeper, a global volunteer and someone who loves data. Yes, data. While she gets as much nature time in as possible while beekeeping with her boyfriend (she inherited supplies from his grandfather), she cannot deny her love for data. After coming across an online appeal for volunteers last year, Angie put that skill to work as a volunteer data analyst for P4P. "Since that's what I do for a living, I thought it might be a good fit, and it really has been," Angie says. She works at Providence Health Care as their government programs and quality analyst for Eastern Washington and Montana. 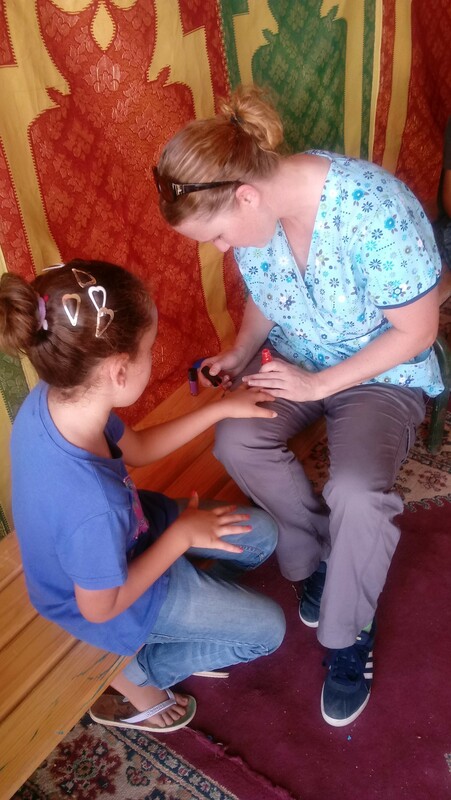 Angie's primary responsibility with the Health Committee is entering and monitoring baby measurements in the Power of Milk program, but she also volunteers for P4P fundraisers such as the annual Civic Theatre event, Into Africa Auction, and she gathers donations for P4P's trips to Kenya. Recently Angie secured enough fluoride from her dentist to cover over 100 kids on last November's trip. "I really enjoy working with the ladies on the medical committee. It's great to see the changes we're making in the lives of the people in Kenya." With a bachelor's of science in biology and a master's in health policy and administration, Angie puts her skills, education and passion to work as a volunteer for an international healthcare group that has taken her to Ghana and Morocco. Angie has not been to Kenya with P4P yet, but she's looking forward to going this year or in 2020.